Tim Burton wasn't invited back for a shot at Batman 3 after many thought Batman Returns was too dark to sell to children and families. Warner Bros. wanted to go a different direction, hoping to get more tie-in marketing, which was lacking from Burton and Daniel Waters' (Heathers) vision of freaks who were all the same, whether they were a cat, bat, or penguin. Though Burton wasn't asked back, Michael Keaton certainly was and now he's revealing why he opted out of what turned into Batman Forever starring Val Kilmer as Batman instead. 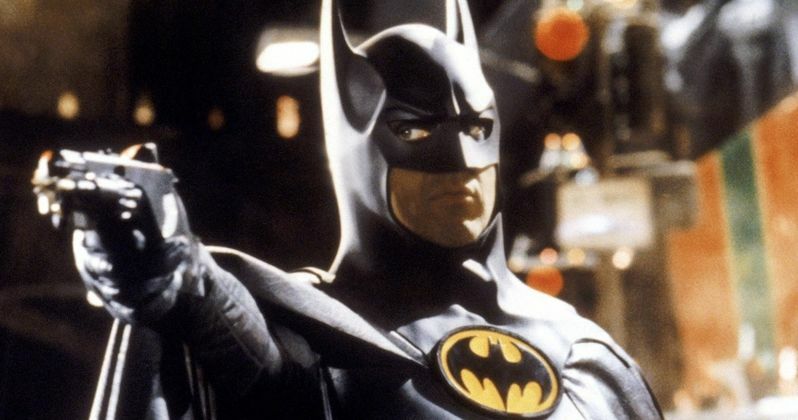 Michael Keaton recently talked to The Guardian about his career and the questions inevitably steered towards his experiences as the Caped Crusader. When asked about why he wasn't involved in the third movie, the actor explained that he thought the script was "horrible." Keaton also attributed the movie to bad tastes of the 90s, something which he feels he was part of to a certain extent. Keaton had this to say. "(The film) just wasn't any good, man. I tried to be patient, but after a certain point, I was like, I can't take this anymore, this is going to be horrible. But, look, there was some really horrible taste in the 90s, and I probably contributed to that, unfortunately. It was a time of nouveau riche excess, everyone was known for their jets and their stuff." Keaton is definitely spot on about the first part of his analysis of Batman Forever, but it's Citizen Kane when compared to Batman and Robin. Keaton's feelings about the decision to leave the character haven't changed much over time. Keaton recently told an interviewer that the script for the third movie flat-out "sucked." Keaton explains. "It sucked! The script never was good. I couldn't understand why he wanted to do what he wanted to do. I hung on for many meetings. I knew it was in trouble when he (Joel Schumacher) said, 'Why does everything have to be so dark?'" Tim Burton definitely had a better understanding of the dark and gritty nature of the Batman character, which some may even argue were the best of the Batman movies. Keaton certainly had the damaged psychotic Bruce Wayne character down to a science. The rest is history, but Keaton has also said in the past that he had an idea to take the movie back to a prequel to show the origins of Batman for the third movie, but those ideas were ignored in an effort to save the failing Batman merchandising. Tim Burton has said that either people said that Batman Returns wasn't as dark as the first movie and that it was too light, while other critics, mainly from the studio side, claimed that the movie was too dark. McDonalds soon came under fire for having Batman Returns themed Happy Meal toys because the movie promoted violence. Basically, Tim Burton got pushed out for not being able to properly merchandise the movie and Michael Keaton jumped ship pretty much right after when he saw the direction that the Batman franchise was heading. Batman Forever was when the Batman franchise got a reboot, far before that term had ever been used, to a more family-friendly version of the character. Michael Keaton definitely got out at the right time, but one can't help but wonder what would have happened had he and Burton made a third Batman movie.